LPW offers workshops to school and colleges throughout the Midlands region. 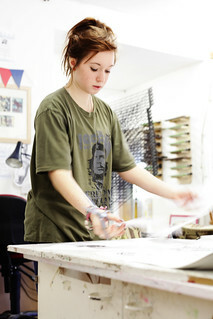 We can set your classroom up as a print studio and work with students of any age and ability. These workshops can be specifically tailored to your requirements to link in with artists and project themes, to support coursework or for an arts week activity. Choose from techniques such as drypoint, monoprint, linocut, collagraph, screenprinting, letterpress or a combination of the techniques. 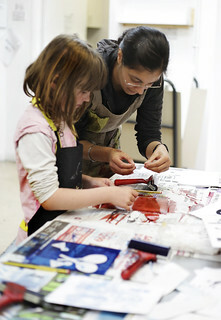 One day workshops for up to 30 students start from £400. Read about two recent projects we’ve worked with Leicester schools to deliver, Moat Town and Light Up.